Grades 1-12: New Student Registrations for 2019-20 are now being accepted. Click for Registration Forms, Required Documents and More Information. Kindergarten: For children 5 years of age on or before August 31, 2019. Click for Registration Forms, Required Documents and More Information. Please click here to view the final draft of the WPS Profile of a Graduate. Please click here to see the final 2019-20 WPS Academic Year Calendar, including October 16th as the District-wide early release day and final approved MIAA Athletics Practice start dates. For information relating to the Hunnewell and Hardy/Upham Facilities projects, please click here. Please click on the links below to review the School Committee’s draft Position Statement relative to the P.A.W.S. Facilities and for Tappé Architects’ Feasibility Study on the facilities. Click here to learn more about school and grade level reassignments for 2018-19. 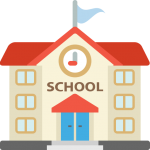 Click here for all School Committee Policies. The new advanced search feature allows you to search all policies by keyword or phrase.